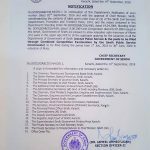 Government of the Sindh, Services, General Administration and Co-Operation Department has issued Notification No. 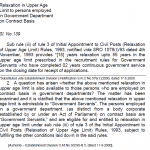 SO-II (S& GAD) 5-64/2011 dated 26th February 2014 in connection with the Relaxation up to 15 (Fifteen) years in the Upper Age Limit. In connection with this Department’s Notification No. 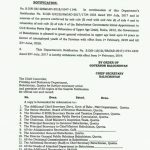 SOII (S& GAD) 6-14/2004 dated 02-10-2012 and with the approval of the Chief Minster, Sindh, notwithstanding the contents of the table given under Rule-12 (2) of the Sindh Civil Servants (Appointment, Promotion and Transfers) Rules 1974 and the orders contained in this Department’s Standing Order No. 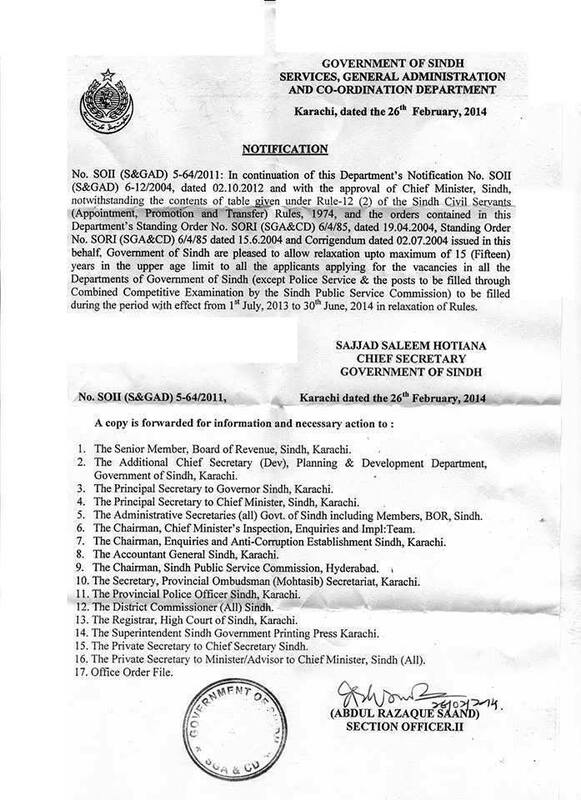 SORI (SGA&CD) 6/4/85, dated 19-04-2004, Standing Order No. SORI (SGA&CD) 6/4/85 dated 15-06-2004 and Corrigendum dated 02-07-2004 issued in this behalf. 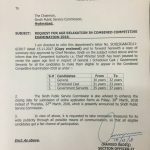 Government of Sindh are pleased to allow relaxation up to 15 (Fifteen) years in the upper age limit to all the applicants applying for the vacancies in all the Departments of Govt of Sindh (Except Police Service & the posts to be filed through Combined Competitive Examination by the Sindh Public Service Commission) to be filled during the period with effect from 1st July 2013 to 30th June 2014 in relaxation of Rules. RANGERS REQUIRED 30 YEARS BUT ALSO MENTION AGE RELAXTION IS AVALIABLE SO PLEASE TELL ME CAN I APPLY FOR THIS POST. PLEASE GIVE ME A REPLY THANKS. I need Age Relaxation Notification issued by Government of Sindh dated 12.02.2005, could you please help in this regard. Dear Tariq Ali I have not the copy of this letter. 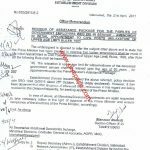 Can i apply for subject specialist/deputy headmaster jobs in ppsc? i have been doing a permanent job in punjab govt department for 16 years. i am 37+2 months. Dear Ahmed Ali you can do so by applying through proper channel. 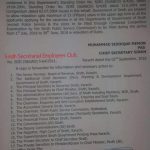 sir, my d.o.b is 06.01.1980 i joined as ESE ( 9 SCALE) on 23.8.2012. Can i apply fr lecturer post age limit is 33 years ? Dear Zahid mujhay is ka confirm nahin hay. Dear AMJAD HUSSAIN, U can try for the same. However many employees conveyed me that their contractual period is not counted towards age relaxation. Dear Madan Lal, I think if the age relaxation is 15 years then you can apply 25+15=40 years age. Is there any Notification or Order of Age Relaxation in Federal (Central) Govt departments as same as Sindh Govt like that uper order. Kindly do needful at once. Dear Imran I have not seen such a letter. my date of birth is 01/12/1985, and i am applying for ASI post in KPK police department, So please tell me about age relaxation and i have done M.Sc. Dear Rahamdad, just check the advertisement for the same. i m need full for govt jobs.i live in karachi.my age 32 between 33 age.i have age relex last 1st july 2016 to 30 june-2018. i need new notification for age relex 1st july 2018 to .